(AFP) - The Greek parliament on Friday narrowly ratified a landmark deal to rename neighbouring Macedonia, ending one of the world's longest diplomatic disputes and earning rich praise for the "historic" move. A total of 153 MPs in the 300-seat Greek parliament approved the name Republic of North Macedonia despite widespread public opposition. The change had already been ratified by Macedonian lawmakers on January 11. "Today is a historic day," Greek Prime Minister Alexis Tsipras, who forged a close relationship with North Macedonia counterpart Zoran Zaev in drafting the agreement last year, said in a tweet. "Today we write a new page for the Balkans. The hatred of nationalism, dispute and conflict will be replaced by friendship, peace and cooperation," Tsipras said on his Twitter page. "Congratulations my friend" Alexis Tsipras, Zaev said on Twitter. "Together with our peoples we reached a historic victory. "Long live the Prespa Agreement! For eternal peace and progress of the Balkans and in Europe!" 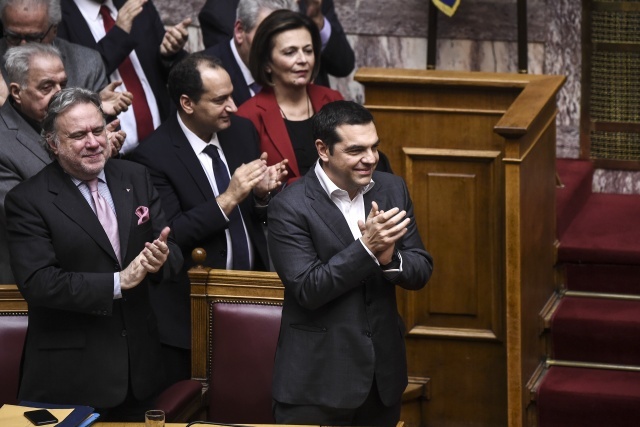 Germany -- whose chancellor Angela Merkel had personally expressed gratitude to Tsipras during a recent visit to Athens -- also welcomed the news as a "victory for diplomacy." But Tsipras told parliament during a two-day debate on the deal: "We never had a Macedonian language. Alexander the Great spoke Greek."